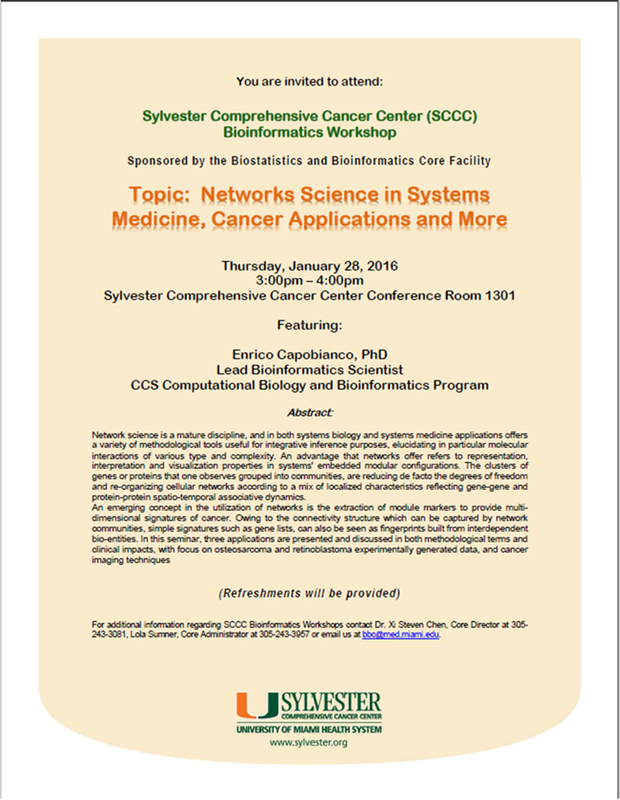 Network science is a mature discipline, and in both systems biology and systems medicine applications, offers a variety of methodological tools useful for integrative inference purposes, elucidating in particular molecular interactions of various type and complexity. An advantage that networks offer refers to representation, interpretation, and visualization properties in systems’ embedded modular configurations. The clusters of genes or proteins that one observes grouped into communities, are reducing de facto the degrees of freedom and reorganizing cellular networks according to a mix of localized characteristics reflecting gene—gene and protein—protein spatio-temporal associative dynamics. An emerging concept in the utilization of networks is the extraction of module markers to provide multi-dimensional signatures of cancer. Owing to the connectivity structure which can be captured by network communities, simple signatures such as gene lists, can also be seen as fingerprints built from interdepartment bio-entities. In this seminar, three applications are presented and discussed in both methodological terms and clinical impacts, with focus on osteosarcoma- and retinoblastoma-experimentally-genenrated data, and cancer imaging techniques.